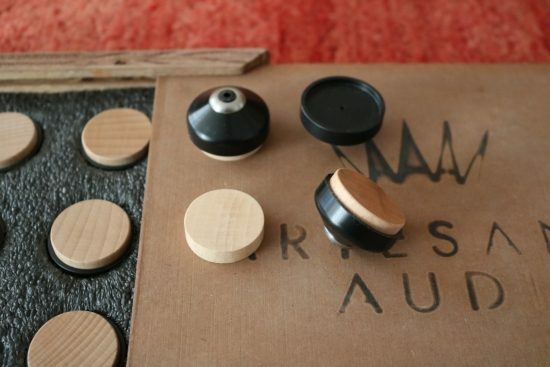 This is the final part of the Artesania accessories series, now focussing on the new Beech Wood Discs for Artesania Audio Rack component feet. 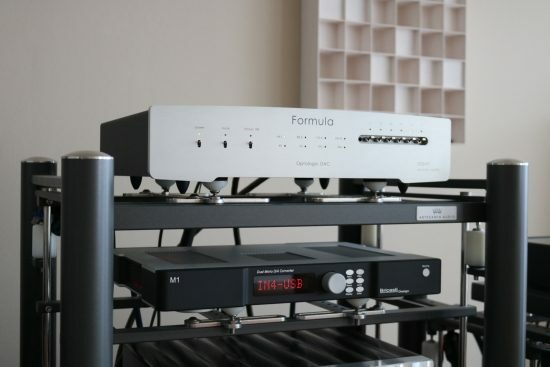 The basis for this comparison is a system consisting of an AudioAanZee Reference Flow Music Server with Euphony Drive, an Aqua Formula xHD DAC, and Jeff Rowland Corus + PSU preamp, all supported by Artesania Exoteryc racks. 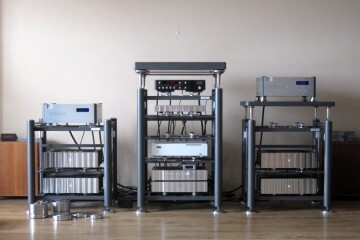 Power amp currently is the PrimaLuna DiaLogue Premium tube power amp with KT150 tubes. placed. 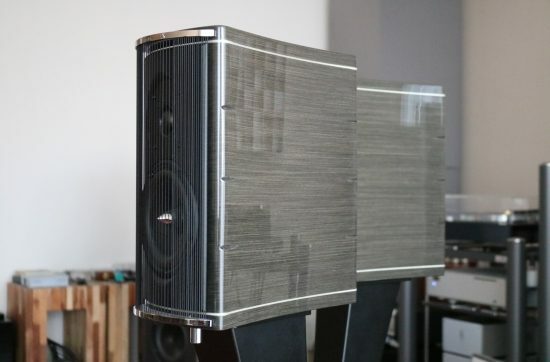 My regular speakers are Wilson Watt/Puppy 8 but for this review, I used the Franco Serblin Accordo speakers that are simultaneously over for review. 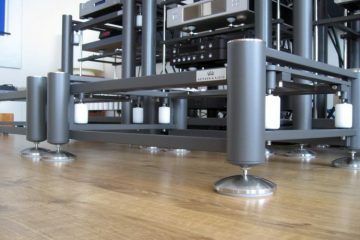 Artesania racks are normally delivered with Neoprene or felt covered Disc options. 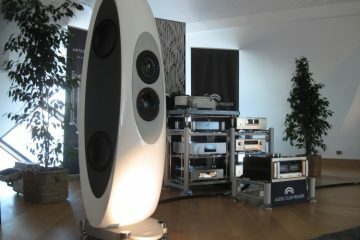 Now there are new Isolation Discs that allow the use of Beechwood discs under audio components placed in Artesania racks. The existing feet can simply be pulled off and the new ones put back on, meaning that there are now three options to choose from which are Neoprene, Felt and Beechwood. The new feet themselves are still made of Nylon but now in black color rather than white. 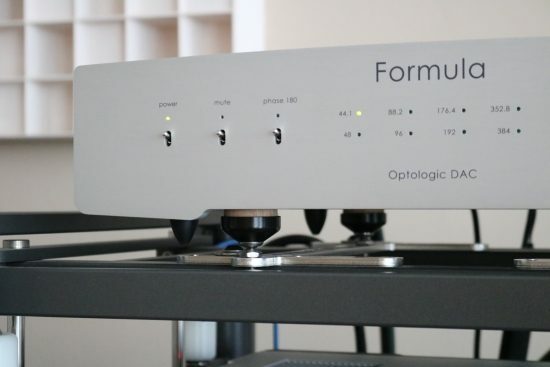 The main component to assess the discs’ merits is the Aqua Formula xHD, which is my current reference DAC. Substituting the standard Neoprene discs with the new Beechwood discs, the sound clearly becomes a lot bolder and more powerful, with louder dynamics. There’s some emphasis on upper bass and lower midrange that makes for an extra engaging delivery. This is no small difference! It’s a bit of a two-edged sword though. 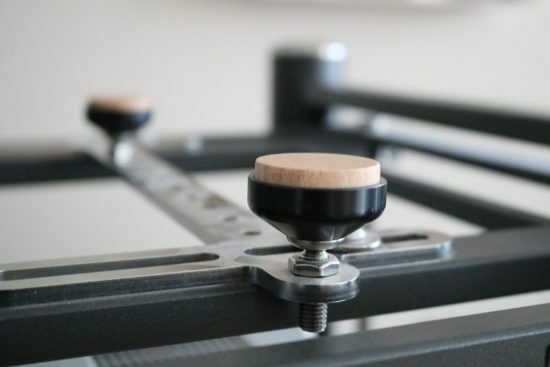 Much as I appreciate the newfound sense of life and power, the treble also becomes bolder in the process, somewhat reducing the inherently smooth and fluid nature of the racks. 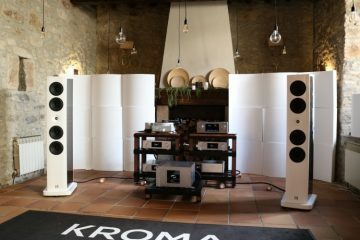 Ultimately though the advantages outweigh the disadvantages and after listening to the new sound for a little longer I continue to be moved by the communicative midrange and convincing timbre, and the treble actually seems fine. This might mean that the Neoprene Discs might over-smoothen things a little or it might indicate that my ears are adjusting to the new situation. Most likely though there is truth in both. The beauty of the way that these Discs are attached makes it very easy to simply swap the Neoprene ones for the Beechwood ones on the spot. 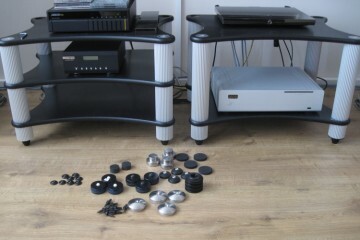 One can tailor every component to use the Discs most complimenting its particular sound. The Aqua DAC is a lively performer itself and although it responds well and sounds even more expressive now, it also sounds very good with the Neoprene Discs. 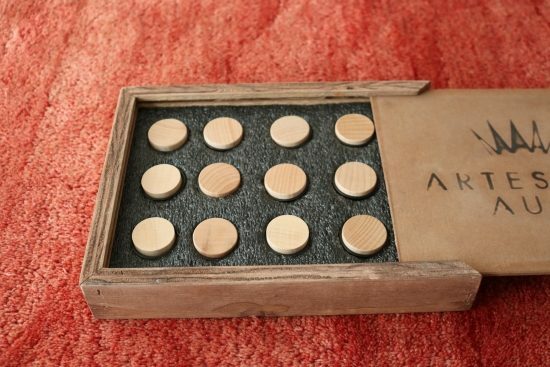 Nevertheless, the extra dose of power is so addictive that I think I will keep the Beechwood Discs in place. I even have a feeling that they will become the new standard on my racks! I have not tried it yet but I am pretty sure that the inherently relaxed sounding Rowlands will also work extremely well with the new discs so the Corus will be the next place where I’ll try them. 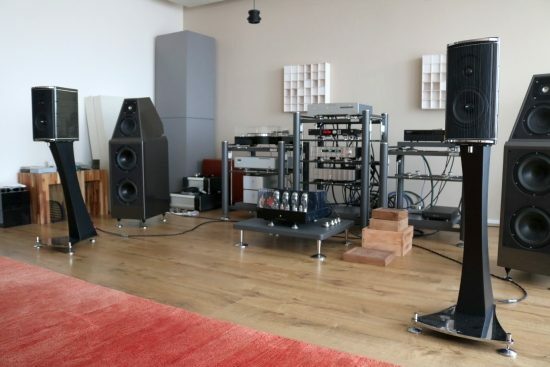 The turntable surely will also benefit and relatively warm sounding equipment such as classic Meridian 506.24 CD player will most definitely benefit hugely. 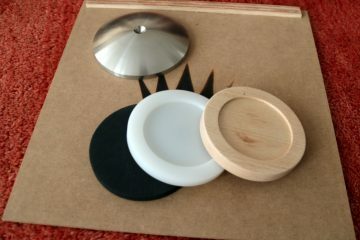 At the risk of finding competing results, I also compared the Beechwood Discs with Finite Elemente Universal Ceraballs. Eagle-eyed readers may have already spotted these under the Jeff Rowland Corus and PSU units. 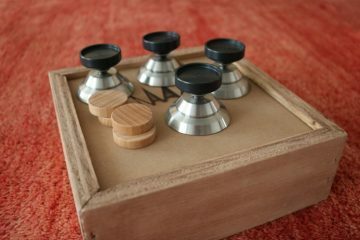 These were installed a while ago when I still used the very smooth sounding Apogee Divas, before the new Artesania Beechwood Discs were made available. At that time I needed every extra bit of articulation and transient power, to maximize perceived dynamics. To enable quick comparisons I installed the Ceraballs while leaving the Beechwood discs in place. Although this means that I had to use different threaded holes, I made sure to use a mirrored position so that the feet’s relative distances were the same. 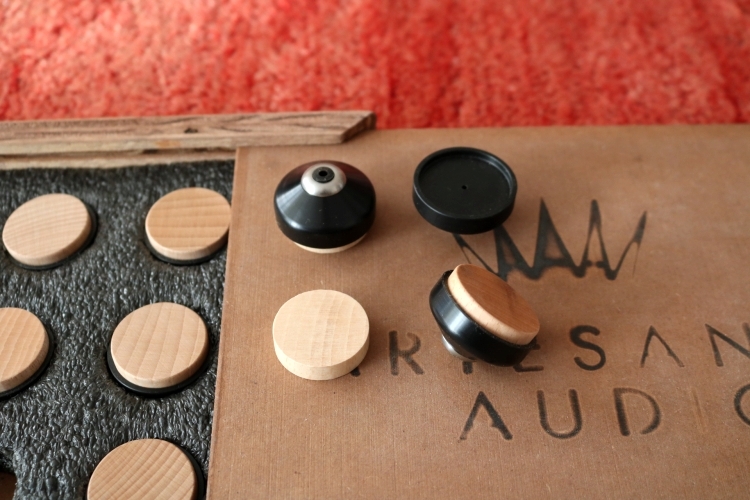 Comparing the Beechwood Discs to the Universal Ceraballs using the Aqua DAC revealed that while the Ceraballs also enhance articulation and edge definition and sound very neutral in the process, they definitely do not sound as bold and lively nor harmonically as rich as the Beechwood Discs. The latter may sound comparatively more colored, but it is an otherwise very natural delivery that is all the more engaging for it. Once again I must say that I’m quite surprised by the large and positive influence of Artesania products. 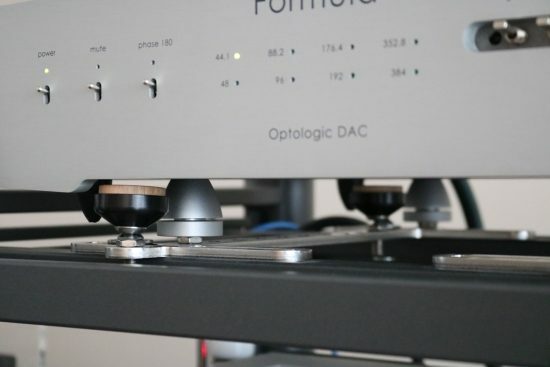 The Isolation Bases and their new Beechwood Discs already surprised me in part 2 of this review but the differences introduced by these Components Isolation Discs are even larger. Go ahead: call me an Artesania Fanboy. I can’t help it. They just make outstanding racks and accessories. While I cannot deny that the Exoteryc Racks are very pricey, they are solid as a house, engineered very smartly and are infinitely adjustable. Also, they just sound fantastic. It’s not without reason that I have never contemplated switching brands during the 4 years that I have used these racks. So, while pricey I think they are definitely worth it. That said, all the accessories as discussed in these 3 reviews, however, are definitely priced very sensibly. 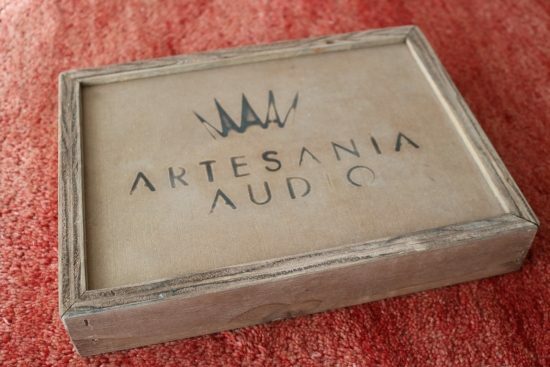 Considering their high-grade finish, their very positive influence on the sound and also taking their pricing into consideration, they are virtually a must for owners of Artesania racks. They enable further meaningful means of tweaking with clearly distinguishable results while still allowing a “roll-back” if and when component changes or a change in perspective dictate this.